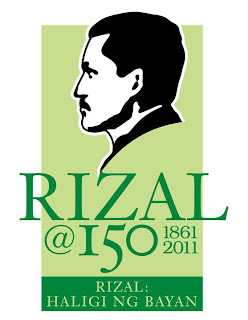 Today is Jose Rizal's sesquicentennial anniversary or the 150th birthday. José Rizal was born in 1861 at Calamba, Laguna so I'am really proud that I'm an Calambeño. Jose Rizal fought the conqueror of our country not by physical but by his works, the famous No li Me Tanghere and the El Filibusterismo. 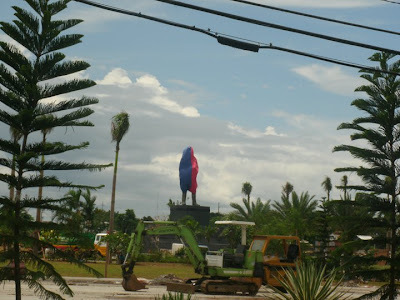 For his 150th birthday, the city of Calamba built a statue of Rizal in the from of Calamba Municipality.They said that it is the biggest statue of Rizal. I haven't still see the statue, but I already saw it when it is still under construction. Government staff's and P-NOY came to the newly built statue to commemorate and celebrate the 150th birthday of Rizal. They mention there the works and the deeds of Rizal for our country. I wanted to be there to see P-NOY in person but its already late because when I open the T.V. and go to the channel were the ceremony is broadcasting is already in the half. To all Filipinos out there, let us please commemorate him because he did everything to save our country and countrymen.